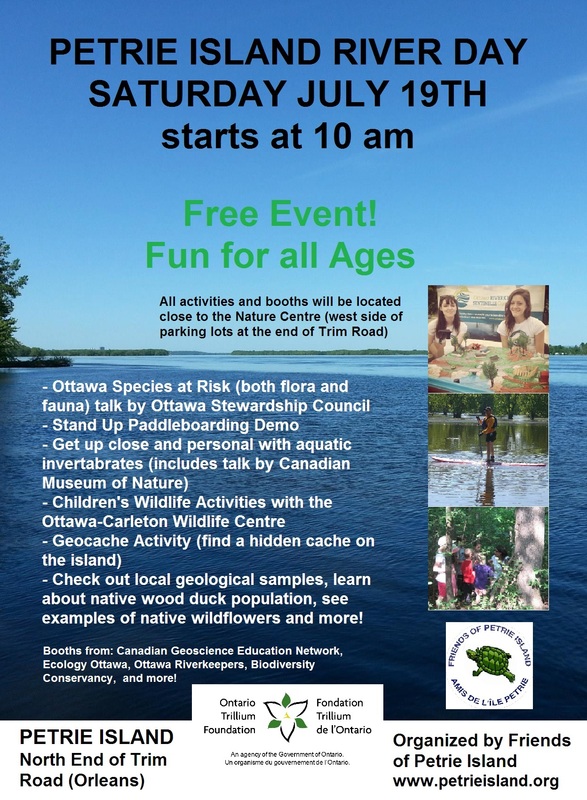 Thanks to Katherine Forster at Friends of Petrie Island for the River Day information. River Day is from 10 a.m. – 2 p.m. Check the Friends of Petrie Island’s Facebook page for updates.